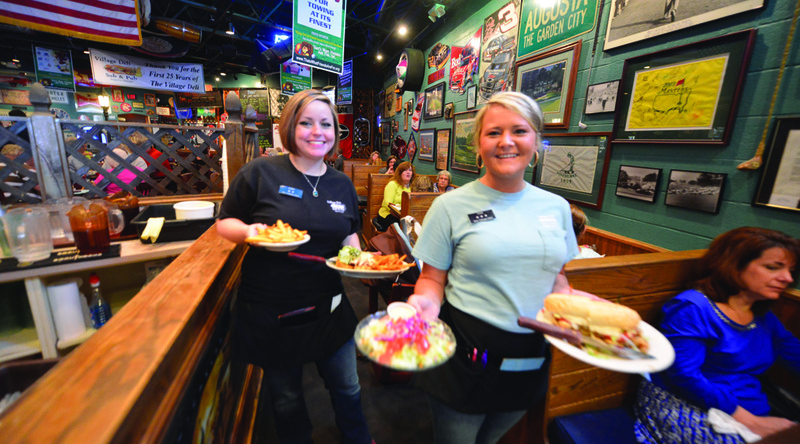 Going out to grab lunch Thursday? 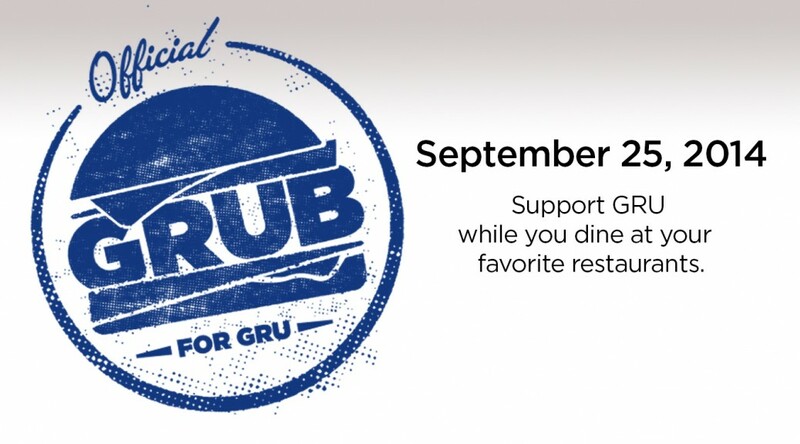 Make your meal count and dine at a participating Grub for GRU restaurant on Thursday, Sept. 25. Local restaurants are contributing 10 percent of all pre-taxed food sales to Georgia Regents University as part of its IGRU fundraising campaign to raise $800,000 in support of institution priorities. Faculty, staff, and students are also encouraged to participate in other upcoming IGRU campaign events including the GRU Alumni Barbeque and Celebration on Oct. 10 and the Jaguar Jaunt 5K race Oct. 11. To buy tickets online for the BBQ visit grualumni.com/BBQ and to register for the race visit jaguarjaunt.com. For more information, or to make a donation, visit giving.gru.edu/igru or call the GRU Office of Advancement at 706-721-4001. GRUB for GRUI’m Giving Are You?